Can't make it to this performance? We have several coming up throughout the year! Visit www.natya.com for all our Studio Series dates, and other performances in the city! Photography by, Ravi Ganapathy (www.ivarpix.com)Join us for Natya Dance Theatre's first Studio Series performance! 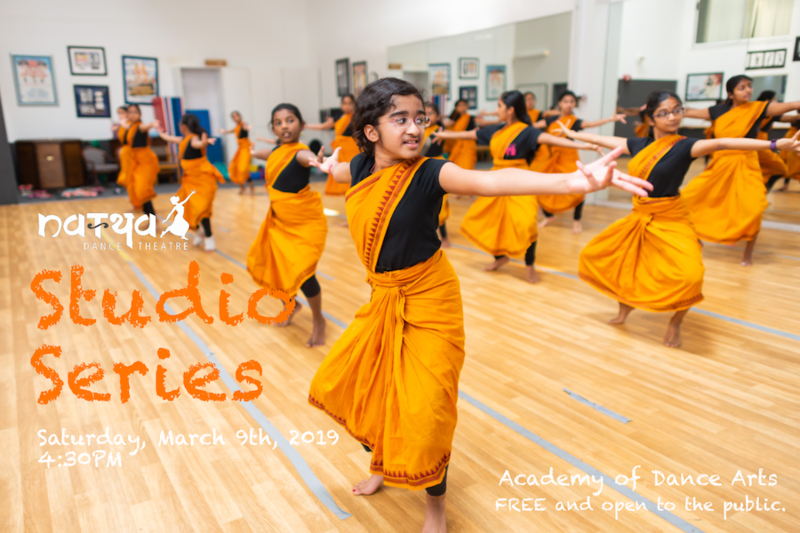 The Studio Series is an informal, works-in-progress showing featuring performances by Natya Dance Theatre students and alumni. FREE and open to the public! Limited seating - RSVP required.